This originally appeared in our June 2013 enews but modified a bit. We have written about our ad / sponsorship program before but we wanted to share some numbers and examples that might just boggle your mind. These ideas may help volunteers and groups partner with local businesses to purchase custom books … plus help them raise funds! And, if needed, a 16, 32 or 48-page full color glossy insert can be added in books for an upcharge (so up to 60 customizable pages) creating a very substantial reference manual that can be personalized for employees, customers or local communities. 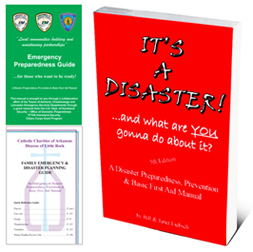 Many agencies and volunteer groups want to purchase IT’S A DISASTER! books for local volunteers and citizens, but they don’t have any money in their limited budgets. 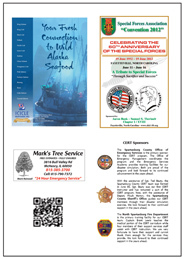 Plus nonprofits, schools and First Responders are always looking for ways to raise money. So ~ a creative way to get local businesses involved is to sell advertisements or acknowledge sponsorship inside books (or eBooks) … and Fedhealth will print the ads and other data for FREE and throw the value in as “match” on your paperwork. Groups can collect anything you can for ads or sponsorship … take cash, lines of credit, barter or trade (whatever you can get) … and keep it all since Fedhealth prints them for free..! We’re flexible on ad layouts since some may want to do a list of sponsors while another wants to offer quarter, half or full page ads. The below examples just use ¼-page ads for simplicity. Total money leftover for CERT or Scouts = $180+ … and more funds could be raised by asking for more per ad or doing a 4th sticker. NOTE: A $50 4-color ad is only 50 cents per book into 100 homes. And more funds could be raised by collecting more per ad or offering premium placement on outside color covers, inside covers, etc. NOTE: A $100 ad is only 10 cents per book that goes into 1,000 homes. Total funds leftover for Region or nonprofit = $82,000 … and more funds could be raised by collecting more per ad or offering premium placement on outside covers, inside covers, use some more color pages for ads, etc. 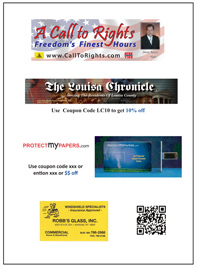 NOTE: A $1,000 ad is only 5 cents per book that goes into 20,000 homes..!! A nickel (or a dime or 5) per book is a great deal for advertisers and the ads can help generate excitement and participation in the community since it helps people save money on supplies and day-to-day goods and services. Plus the leftover funds can be used by groups doing the project to help fund their efforts!! 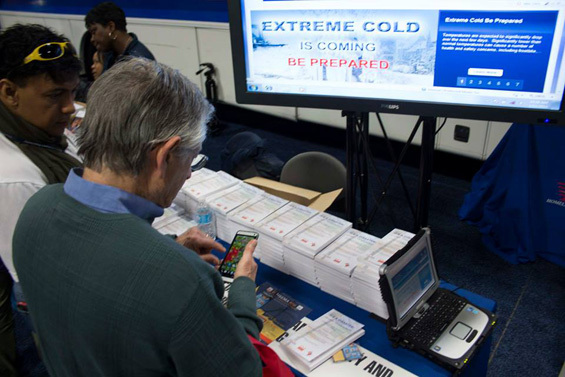 As always, we are completely open to ANY idea that gets this data into the public’s hands and helps our country “be aware, be prepared and have a plan”! Please call Fedhealth at 1-888-999-4325 to discuss your needs or to request a free information kit … or download a free 56-page mini ebook and learn more about our Public-Private Partnership ideas.